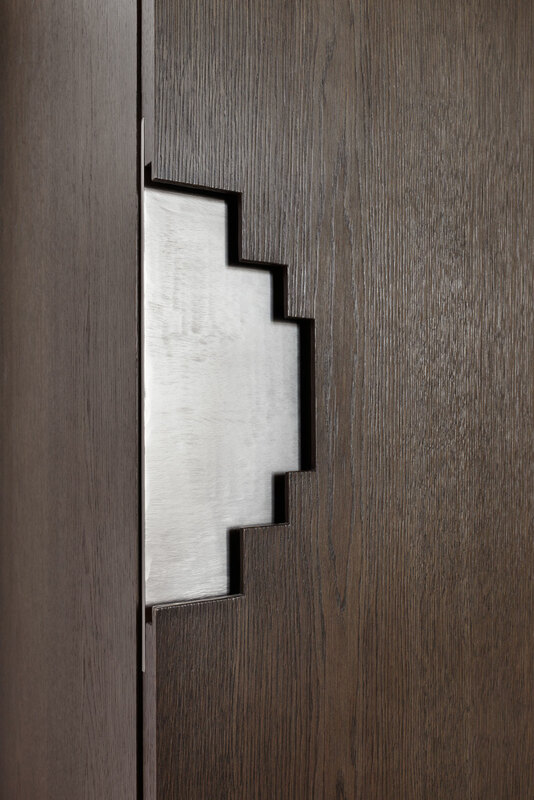 We used geometric inspired designs in the recessed handles of this joinery set. The handles are brushed nickel insets which are combined elegantly against the baked brushed oak timber. The internal carcasses are made from cedar wood.